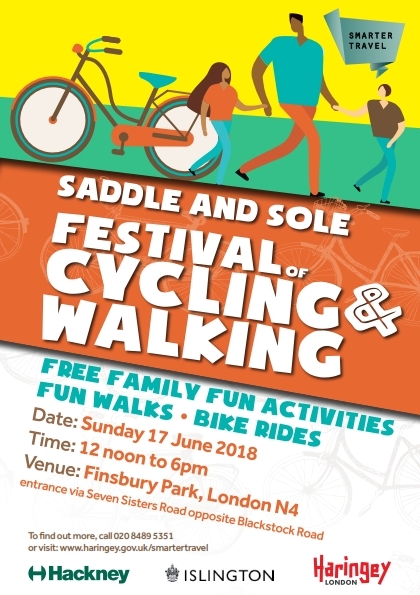 Our festival of cycling and walking will be on Sunday 17 June, from 12noon to 6pm in Finsbury Park. Summer is on the way (honestly, it is! 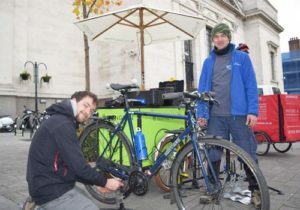 ), so get set for some sunny days in the saddle with a whole range of free activities from the Islington Bikeability and cycle skills team. Our free monthly Dr Bikes continue into the summer in fact, we are now offering two sessions per month at different locations. Come to the Town Hall on the first Wednesday of every month, or Navigator Square in Archway on the third Tuesday of every month. All sessions run 4pm-7pm, and you can view exact dates and locations here. If you’re a beginner (or an improver) and want to practice off-road to learn to ride a bike, you can do a free basic cycle skills group course. More advanced cyclists wanting to improve their on-road riding can book some individual cycle skills sessions. You can also learn how to ride together as a family, book a family cycle skills session. Women and girls aged 14+ can book one of our This Girl Can urban cycle skills courses – a confidence-building weekend course with bikes provided. 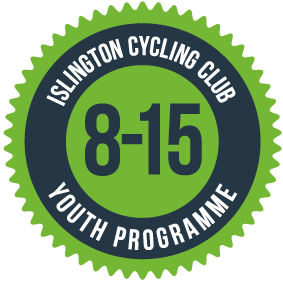 Islington Cycling Club runs weekly coaching sessions for 8-15 year olds in Finsbury Park. Sessions are every Saturday, 10am-12.00noon and are run by experienced British Cycling coaches. There is a range of activities from cyclocross, time trials to road racing in a safe and enjoyable environment. Cost is £50 per term and you can do a try out for £5. Meet at the park café. Further details here.